Since it’s introduction in Spring 2012, Forever 21 + has been the leading source for affordable yet stylish plus-sized clothing. They always keep up with trends and this season you will catch plenty of faux leather, coloured jeans and unique blazers. Asos Curve is the leading destination for couture plus-sized clothing. The collection is always edgy, always modern and always high quality. They truly have something for everyone and right now they are offering plenty of peplum, skulls and asymmetrical hemlines. 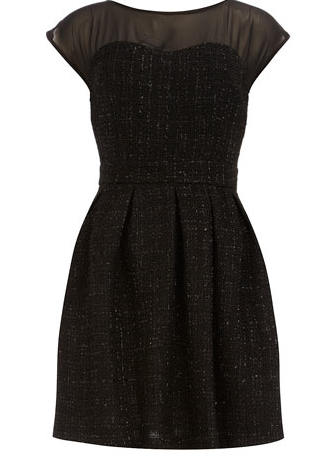 You can always find beautiful dresses and retro designs also. British women’s clothing retailer Dorothy Perkins has recently seen a huge increase in US sales. Offering flirty and feminine clothing in sizes up to 18, Perkins should be your go-to place for pussybow tops and vintage-look dresses. This season offers plenty to choose from for the professional, plus sized woman looking to make a statement. Although it’s a department store, Nordstrom offers high end fashion for everyone including the plus-sized consumer. You can find top brands like Michael by Michael Kors, NYDJ, Adrianna Papell, Calvin Klein, Tadashi and more. 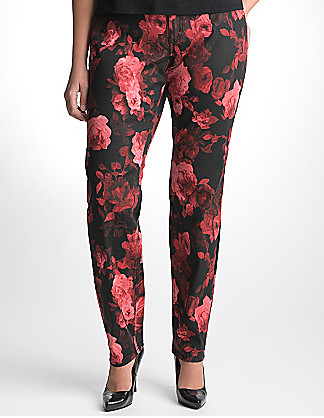 If you are looking for pants, Nordstrom should be the first place you look. 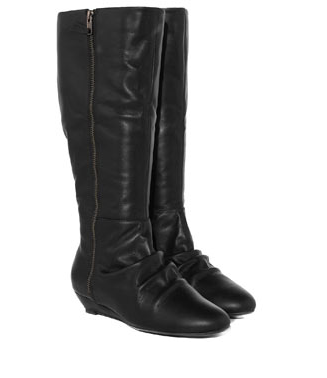 They offer a variety of styles and colours that any fashionista could admire. They also offer the best selection of cocktail and formal dresses in a broad range of prices. UK-based Evans offers everything from clothes to lingerie to shoes, all tailored for the above average shopper. The clothes are always up-to-date, as Evans often releases specific collections that coincide with the season. These exclusive pieces go fast, so be sure to check back often. They are unique in that they sell shoes (even boots!) in in Wide E and even Extra-Wide E. It is often hard for bigger girls to find properly fitting shoes, so this is a huge plus. Simply Be offers a wide selection that anyone could enjoy. While mostly catering to an older generation, they carry many fun and trendy items. Plus-size fashion blogger Gabi Fresh recently reviewed the store, which is based out of Manchester. You can find playful printed pants, leather skirts and pages upon pages of cute tops. The last place you would ever expect to find attractive 1x+ clothes is QVC, but believe it or not they have an incredible selection of collections. First, check out K-DASH by Kardashian. Whether you want Kim’s tight dress, Kourtney’s boho cardigan or Khloe’s relaxed maxi-dress, QVC has got you covered. Also check out the Kris Jenner Collection for a variety of sequined tops, printed shirts and chic coats. If you still aren’t satisfied take a look at the extensive collection designed by fashion critic Joan Rivers. She somehow finds a way to make clothes for people of any age or size. 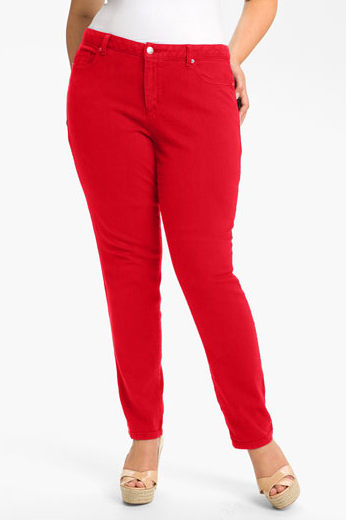 Lane Bryant has finally moved past their mature audience. Carrying brands like Seven7 and DKNY, any fashion lover can find the most outrageous and stylish pair of pants here. 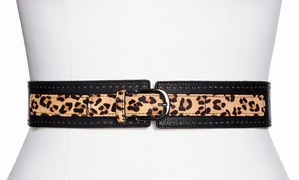 Leopard, snake, paisley – you name it and Lane Bryant has it. 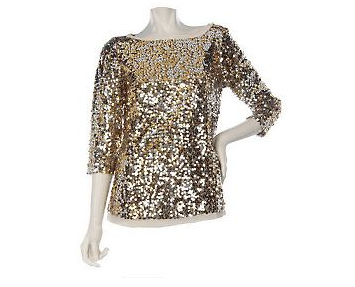 They also carry sequin cami’s to spice up that work blazer and flattering yet fashionable tunics. When it was released that The Limited was creating a plus-size line, Eloquii, everyone was excited. Always overflowing with options for the office, Eloquii has recently started to stock their online shelves with bright and exciting nightwear too. They also have a great selection of coats, big-girl belts and jewellery. Torrid is the perfect spot for all the above average rockstar chicks. 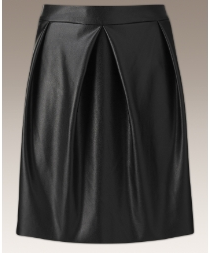 Whether you are quirky, punk, rock, goth – Torrid has what you are looking for, even if you aren’t necessarily edgy. While the prices are a little high, Torrid often has good sales. Also, be sure to check out their collection of Halloween costumes, which is always the cutest. Tags: asos, DKNY, Dorothy Perkins, Eloquii, Evans, fashion, fatshion, Forever 21, Gabi Fresh, Joan Rivers, Kardashians, Kris Jenner, Lane Bryant, Nordstrom, online shopping, plus size, plus sized, QVC, Seven Jeans, shopping, Simply Be, The Limited, Top 10, Torrid, UK. Bookmark the permalink. post is simply excellent and that i could think you are an expert on this subject. to take hold of your RSS feed to stay up to date with impending post.